I built a series of social media posts for the Empower Her Network. The non-profit works to provide training, community, and economic opportunity for women who have escaped a life of modern slavery. More of these posts can be found on their Instagram page. While working for Revenew (now called Aprimo), I created blog content regarding the channel marketing industry and published it through their facebook, linkedin and twitter pages. A few examples are published below and you can follow the links provided above to see more. Thanks to the explosion of digital media, you can now reach more potential customers easier than ever before. But, while these technologies have made it easier to get your message out to more people, they have also changed the way consumers make purchase decisions. Buyers now have access to a lot more information that they use to narrow their options and often make decisions without ever talking to a human. In fact, according to SiriusDecisions, 70% of the buyer’s journey is complete before a buyer even reaches out to sales. This however does not mean you can just sit back and wait for customers to call. In this digital age, in order to even be considered, you will have to be with them every step of the way, from their initial awareness of their problem or need to the consideration of multiple options to finally making an informed decision. Finding and nurturing new customers may appear daunting, but with the right tools and approach, you can guide customers through the buyer’s journey and right through your doors. Simply existing is not enough to inspire a purchase. At the beginning of the buyer’s journey, customers probably don’t even know about your company and are unlikely to fully trust your message until they become more aware of you. A recent study from Pardot discovered that 72% of buyers turn to Google for their initial research. Using search engine marketing is a good start, but the old marketing adage of the “Rule of Seven” still applies, meaning that a customer needs to see or hear your message at least seven times before they’ll decide to take action. 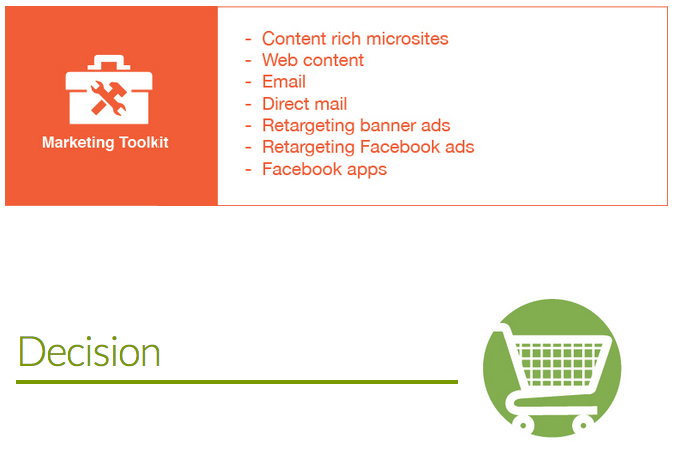 It is best to take an integrated approach and market your products using multiple platforms, such as banner and social ads with consistent messaging, to ensure that they remember your message and recognize you as a potential solution provider. It is also especially beneficial to take advantage of co-branded marketing at this stage. Co-branding allows you to align your company’s brand with the well-known national brands that you sell by promoting both brands together. This not only helps your marketing get noticed, but aligning with a trusted brand, you will also help you position your company as a trustworthy expert. At the consideration stage of the buyer’s journey, buyers will have narrowed down their selections and will only be considering a few options. If they are aware of your presence and trust you as a reputable source of information, they will begin visiting your sites for more information. 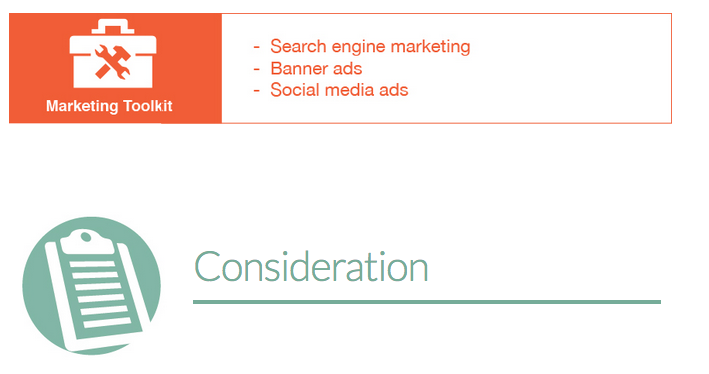 Ensure that your website has the information your consumers are looking for. Implementing web content that features the products you sell will help you not only promote your products, but because web content from Revenew links to co-branded microsites full of rich, relevant content, it will also help establish your authority as an industry expert. These robust microsites provide detailed information on the products and services you offer and it’s a great method for collecting contact information from interested buyers. After they’ve visited your website or microsites, you can use retargeting ads to automatically place your ads on the sites those visitors go to throughout the web. 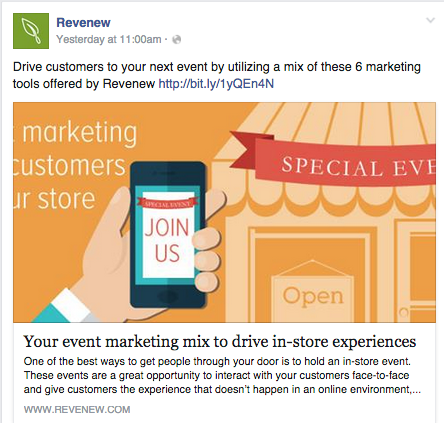 You can also retarget buyers with Facebook ads that direct people to a content-rich Facebook app. This allows you to reach people who are interested in the product/service you are promoting, get them the information they are looking for and lead them to your Facebook page for further engagement. If have their contact information, you can also reach out to them with emails and direct mail to keep your business on the short list of those they’re considering. Once buyers have narrowed down their choices, they will make a decision of what to purchase and who to purchase it from. If you have been present throughout their buyer’s journey, they are much more likely to choose you. The work is not over once a new customer makes a purchase though. You’ll want to be sure to continue to nurture them even after their purchase so you can retain them as a customer. By staying top of mind with marketing tactics like email, direct mail, newsletters and social media, they’ll remember you when they are ready to make another purchase. This will also help build referral business because if they know someone looking for products or services that you provide, they will likely recommend you. Studies from Ogilvie, Google and TNS have found that word of mouth is the most effective form of marketing with 74% of consumers identifying word of mouth as a key influencer in their purchasing decision. Marketing is never one and done. It is a constant process of informing and nurturing in order to help guide current and future customers towards your business. 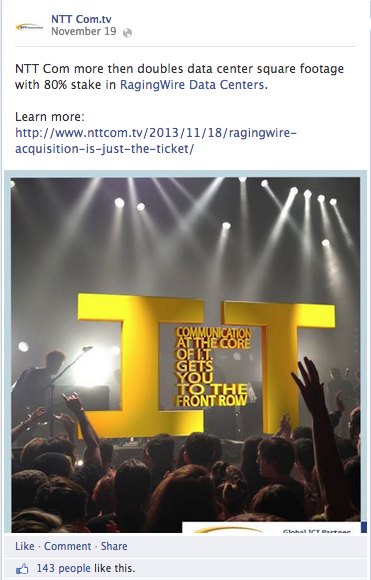 From creating their own online channel at nttcom.tv to their facebook and twitter pages, we were the creative team behind their news releases. @nttcom named Best pan-Asian Wholesale Carrier 2013 at the #globalcarrierawards just announced at #CapacityEurope conf. NTT Communications is a Japanese-owned telecommunications company. Their business with firms throughout Asia make them one of the largest telecommunication firms in the world, but many in the United States have not heard of them. Our job was to increase brand awareness through search and social media campaigns. People use communication services in everything they do. From sharing files through the cloud to mapping their way to a restaurant around town. Many take these marvels in technology for granted. Our strategy to promote NTT Communications was to highlight the invisible role telecommunication firms play in everything we do. From maintaing productivity with the servers that run your website to restocking isles at the stores you frequent, Information, Communication & Technology (ICT) is involved in everything we do. To differentiate NTT Communications from larger competitors in the United States, we utilized ICT in our SEO to break through the clutter of Information & Technology (IT). While ICT and IT are interchangeable phrases, our campaign focused on producing content that showcased Communication as core of NTT Communications. connected people to each other, customers to businesses and businesses to businesses. The campaign required the collaboration of copywriters, art directors and animators to concept ideas, execute them, as well convey the rather complicated nature of Information Communication Technology. More examples can be found at http://www.nttcom.tv/. Below are further examples of the content we created for NTT Communications social media accounts as well as the blog copy that accompanied each piece. To actualize your business’s potential, you need a reliable way to migrate your company’s data to the cloud. NTT Com’s On-premises Connection, launched July 28th in Japan, smoothly moves company data to the cloud so your company can continue growing without the hassles of re-configuring IP addresses. There is no need to worry about selecting the right package since NTT Com realizes every company is complex in their own way and may not work in a “one-size-fits-all” approach. By charging on a per-day basis, customers pay for what they use, not an earlier prediction written in stone. 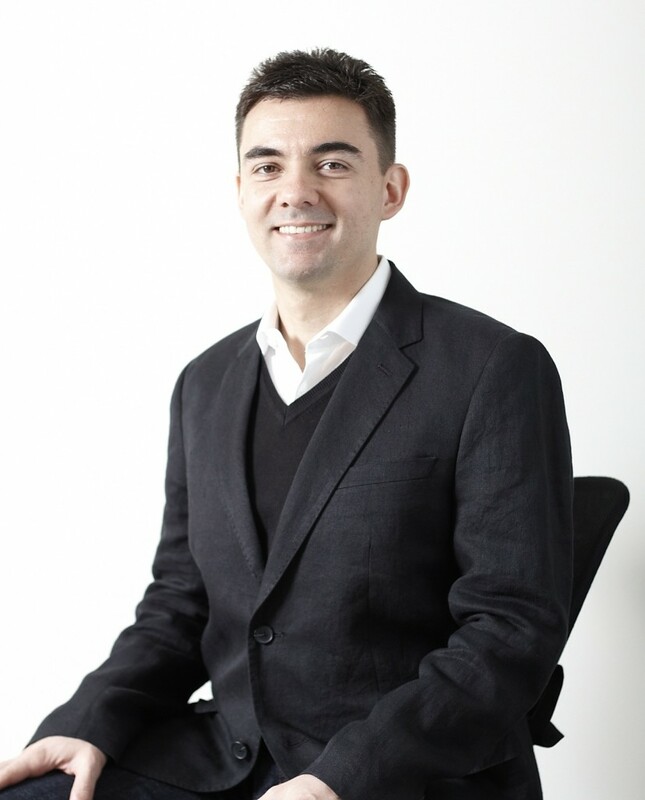 We recently sat down with the CEO of Midokura, Dan Mihai Dumitriu, as their company makes the switch from the product development stage to the go-to- market stage. Midokura began as an IaaS cloud service in 2009. In exchange for an investment with Bit-Isle, Midokura began working on building the software capabilities for Bit-Isle’s data centers. While building network virtualization software necessary to provide their service, Midokura recognized the value of the software itself. With this insight, they shifted from a service-based company, to a product-based software company. The end result is Midonet, which offers network virtualization for infrastructure as a service. They began development before SDN became a widely used term in the industry. Today, the phrase SDN is a very general term which typically refers to using a centralized OpenFlow protocol to communicate. However, Midonet takes a higher level approach using overlay technology on top of an IP-connected network. They strongly embrace decentralization, eliminating single points of failure or bottlenecks. The past ten years has seen massive virtualization of servers to the point where more than fifty percent of workloads are running on virtualized infrastructure. From a business point of view this is more optimal, bringing efficiency and operational simplicity. For example, backing up a virtual machine is now a trivial process as opposed to the painstaking process of backing up a hardwired server. It also builds a more efficient system since by running more virtualization on a single physical host, utilization is increased and capital expenditure recuperated. When questioned whether Midonet is unique in its overlay approach, Dan Mihai Dumitriu says that overlay and encapsulation, per se, are not the full story. Midonet’s innovation lies in the distributed nature of the software. Dumitriu explains, “our software is like a distributed control plane that runs on all these servers, and dynamically decides how to encapsulate traffic.” In other words, it decides which tunnels to create and tear down automatically. Midonet embraces decentralization more strongly than their competitors. In addition to robust design, Midonet has a higher number of network services that are built directly into their software. Other products depend on downloading third party tools in order to get many of the features that MidoNet already has built in. These services include Layer 2 virtual switching, Layer 3 routing, Layer 4 filtering and firewalls. In the future more features will continue to be added, such as Layer 7 load balancing. Midonet’s decentralized approach allows for self-service IT. These changes will mold IT into something resembling the buyer-seller demands of a common marketplace. Dumitriu describes how companies will benefit from these changes by enabling self-service IT, which will enable the IT departments to become more lean. Rather than waiting for a central host to make the changes for you, the service can be manipulated by the person using Midonet – allowing them to utilize necessary specifications for changing day-to-day operations. Midokura is looking to work with enterprises that are building private clouds as well as public cloud providers. The Midonet software will help virtualize networks by building up enterprises’ already existing internal infrastructure. The product also allows cloud providers to make their physical infrastructure more robust by no longer relying on ethernet technologies. Midokura is expanding their market with the help of investment from DoCoMo Ventures, a subsidiary of NTT Docomo. 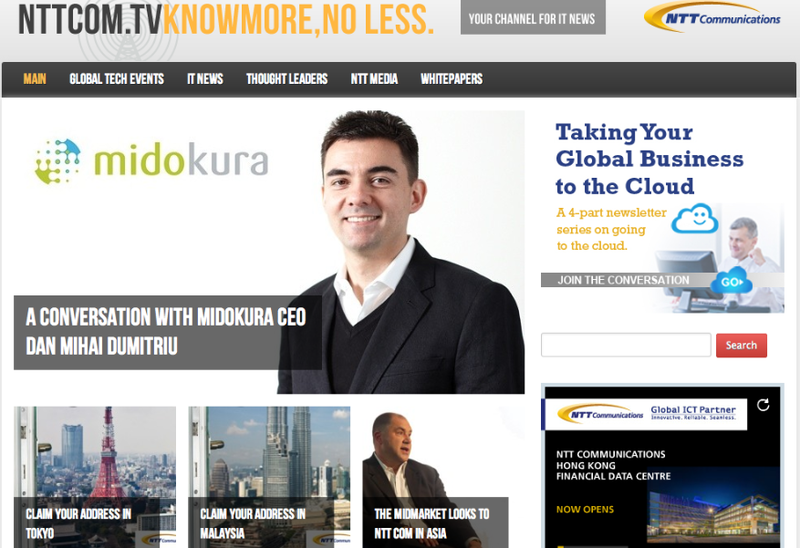 Japan is an exciting market for network virtualization, but the Midokura team is global, with an American co-founder. Their sights are also set on further expanding the USA market, with an increasingly keen eye on global markets. NTT Europe recently conducted a survey of 300 CIOs, IT Directors and senior IT decision makers to find out what is holding back companies from adopting the cloud. The largest hurdle is the high proportion of companies with legacy systems in place. Many IT leaders are concerned that cloud providers do not appreciate the complexity of the systems they have in place and are hesitant to migrate their business engines into the cloud. What many don’t realize is that legacy and cloud infrastructure can, and most frequently are, complementary. In order to be successful, they need to be managed together. The process is complex, so companies need an expert partner such as NTT Communications that can help fill infrastructure gaps and build information architecture. Avoid the confusion and learn how cloud adoption can benefit your company. The Escoffier Online International Culinary Academy wished to promote the benefits of their programs by offering free cooking lessons on their blog at learntocook.com. While their chefs handled the presentation of the meals, they needed a copywriter to write interesting blurbs to entice potential students to click through the link. With each article, I delved into the history of that particular dish or the benefits of a particular app in order to find the insight that made each article historical or interesting. 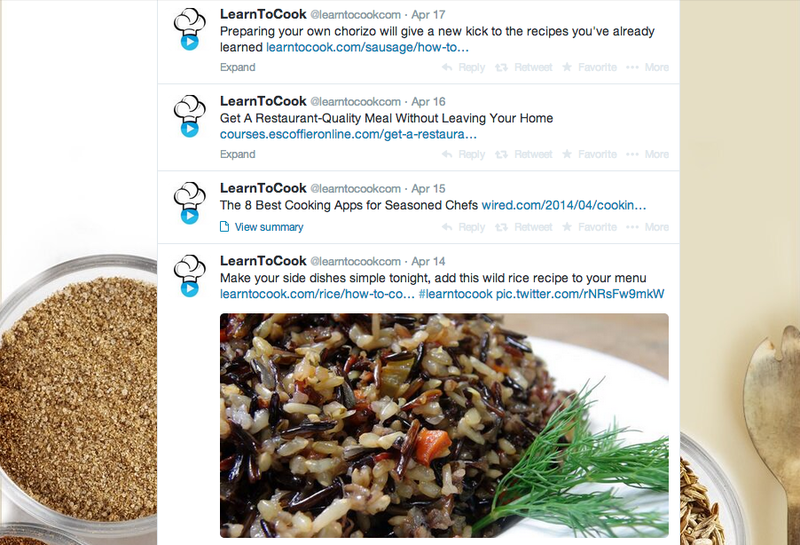 We were recently featured in Wired magazine for our work on one of the best cooking apps for seasoned chefs. No matter if you run your own restaurant, work in the kitchen or are just looking for a little guidance while exploring the culinary arts on your own, the Escoffier Cook’s Companion app is download away from being your mobile reference tool for any of your cooking concerns. We all have a need to be proficient in the kitchen simply because we need to eat. Like most other industries though, its own little dialect has developed which may not be conducive for those looking to learn on their own. While past generations would spend hours in the kitchen with their parents or professional mentors, the age we live in simply doesn’t allow all of us to develop a glossary of culinary terms for a part-time hobby or afford us the time to look the information up if a customer is waiting on their meal. That is why we are proud to offer Escoffier Cook’s Companion for free, regardless if you are a student of our online cooking school. Our application is the go-between that facilitates the understanding between you and the possibly archaic measurements and suggested cooking utensils in your parents’ old cookbooks. Even if the equipment you have doesn’t apply to the particular instructions, the built-in converter will alter the measurements to work with what you have on hand. It is more than simply a tool for calculation, even though it does keep track of the multiple timers needed to properly prepare a full-course meal. It is a guide containing a database of obscure terminology so if you run into terms like “feathering” or “emulsify”, they won’t throw off your rhythm in the kitchen. Escoffier Cook’s Companion is helpful for novices, but can truly be used to its full potential by seasoned professionals as their own personal under-chef. With pictures and advice on how to identify and prepare hundreds of different ingredients, it will make sure you are never lost at the prep station. Our app also has tips for how to handle any of the equipment in your kitchen and advice on how to clean and store these expensive items to make sure you can continue to use them for in the years to come. For anyone who is skeptical, we ask that they give our personal cooking assistant a try. It’s free to download, so what do you have to lose? Don’t forget to view other culinary apps offed by Escoffier Online. On top of writing the articles themselves, I also wrote the copy that would be pushed out through their social media accounts.